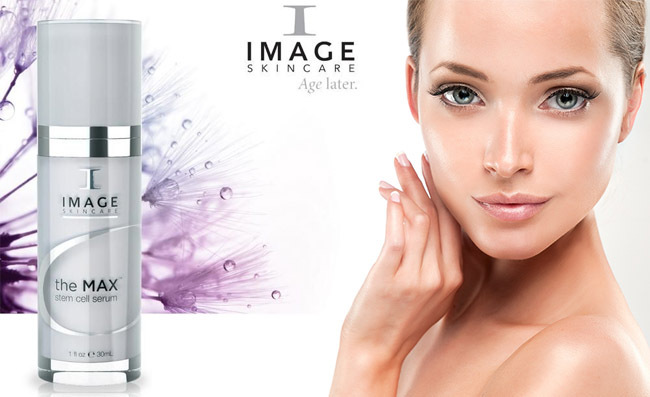 What is IMAGE Skincare the Max Stem Cell Serum with VT? What do we like the most about it? Do we hate anything? The market gives us numerous and various skin care products that are supposed to make our skin younger, healthier and better looking. Some are the sure thing and some you’re going to need to test for yourself as skin reacts differently. No matter which way you go, using a serum for improving the looks and health of your skin is essential and no moisturizer is able (just yet) to do what a serum is able: penetrate deeply into your skin and work from inside out. The Image Skincare Serum is a strong serum that firms, tightens, brightens and sustains collagen in skin, smoothing the visible signs of aging. It diminishes the appearance of fine lines and wrinkles, sun damage or sagging too. The serum is physician formulated and protects your skin from the outer stressors, while reducing the visibility of sun damage to your skin. It brightens the skin and has lifting effects. There’s a lot to say about its formula as the serum rejuvenates the skin. The MAX stem cell serum sustains collagen and smooths the wrinkles, ensuring a lifting effects. The formula tightens and brightens the skin, but also improves the appearance of the deep folds, sagging and wrinkles. The peptides smooth out the looks of the fine lines and the highly-efficient plant extracts minimize the visibility of the environmental damage. RELATED POST: Boots No.7 Lash Serum-Why Not Get Stronger and Longer Lashes? Peptides- they are chains of amino acids, which are fundamental for creating collagen in your skin. When your skin lacks them, it loses definition around the jaw line and the fine lines around your eyes become more visible. The serum stimulates the skin through the peptides, which results into a firmer and younger looking skin. Plant stem cells- the formula has plant stem cells from apples, sustaining the regeneration of skin and reducing the fine lines and wrinkles. Hyaluronic acid- it’s a powerful hydrator that is able to absorb more than 1000 times its own weight in water. It makes the serum easier and faster to absorb, while hydrating deeply your skin. It boosts the production of collagen so the skin looks and feels more hydrated and younger. Centella Asiatic extract (Gotu kola)- slows down the aging process. It increases the firmness of skin and has anti-inflammatory properties. It works for all skin types and speeds up the healing of burns and wounds. Echinacea- fights acne and diminishes the wrinkles. It sooths the scorching skin and brings comfort for the irritated skin. It speeds up the healing of skin and sustains the cellular regeneration. It works for eczema and psoriasis, reducing inflammation and redness. Camellia sinensis leaf extract- has anti-aging and anti-oxidant properties and reduces inflammation in skin. Japanese green tea-keeps acne at bay as it present anti-inflammatory abilities. It maintains breakouts under control and fights the aging of skin. It reduces puffiness and dark circles around the eyes. It tones the skin and keeps the oil production under control. It also addresses eczema. Imperata cylindrical root extract- hydrates the skin and moisturizes it. It protects the skin too. Avena sativa- treats rashes and sunburns. It’s loaded with anti-oxidants and repairs the cellular damage, fighting the aging of skin. It eliminates dullness from skin and treats inflammation, fungal infections and acne. Even though the Max Serum is stronger than many other serums out there, you should use it just like any other serums. You should thoroughly clean your face and pat it dry. Use just a few drops of the serum and massage it evenly and gently on your skin. As the formula is rather strong, you should always follow it with a moisturizer and a sunscreen. You can apply it twice a day for better and faster results. The serum is lightweight so it easily absorbs into the skin. It has an uplifting smell and leaves the skin smoother and nicer looking. The serum is strong and efficient and not only works for the current skin conditions, but also protects your skin from future damage. Sure, one could feel it comes for a steep price, but why not look younger for longer time? Recent reviews on Sugar & Fluff Beauty: the Brickell Men’s Advanced Anti-Aging Routine, the Strivectin-TL Tightening Face Serum, the Elemis Dynamic Resurfacing Skin Care System, the Joanna Vargas Exfoliating Mask, the BeeFriendly Face and Eye Cream Moisturizer Review.